Get in front of COE members all year long by becoming a year round partner and selectingfrom a series of promotional options designed to ensure year-round placement and a widevariety of platforms to maximize your exposure. 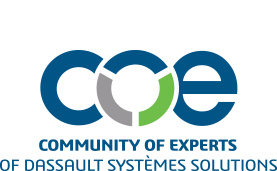 Generate quality leads through COE's year-round web presence and educational events.COE provides an excellent opportunity for your company to reach thousands of users of Dassault Systèmes solutions. Why Advertise or Exhibit with COE? COE's year-round exposure opportunities put you in contact with our user community of over 30,000. Reach our membership via email blasts, Ask the Expert webcasts, COE's NewsNet newsletter or through website advertising on the COE website. Exhibiting at COExperience, taking place February 24-27, 2019 in New Orleans, gives you the opportunity to showcase your solutions to more than 650 interested Dassault Systèmes users, representing key industries and job roles. Learn more about exhibit and sponsorship opportunities and Make sure to submit your contract before space selection, beginning the week of December 10, 2018. Questions? Contact Jim Conlon, Director of Partner Engagement at jconlon@coe.org or 312.673.4865.